Choosing Bathroom Tiles for your home is a big decision. There are many ways to come up with ideas for the perfect tiles to complement your home style and personal likes, but in many cases finding exactly what you want can be tricky. That’s where we come in, UniqueTiles delivers custom printed wall tiles for every area of your home. One of the most challenging parts of selecting the perfect bathroom tiles or kitchen tiles is trying to find what you want among the pre-designed selections provided by other companies. At UniqueTiles, the opposite is true, you tell us what you want or envision, and we bring that design to you printed on the highest quality, kiln-fired porcelain tiles with a high-quality finish for best durability. If you have recently looked in your bathroom and realised that your tile floor is looking dull and discoloured, you might want to consider replacing those tiles at some point in time. Even if you have prior experience with tiling, you might hesitate on this type of project because it does take a few days to complete. Other people may not know what to do and might feel more comfortable hiring a professional. Unfortunately, this type of project can cost a significant amount of money, not including the cost of the tiles and material to lay them out. It might be more cost-effective to learn how to tile a bathroom on your own, a skill that will save you a substantial sum of money on this type of project. Let’s now look at five easy steps that you can follow to learn how to tile a bathroom in your spare time. The first thing that you will want to do is measure the dimensions of your bathroom. This includes measuring the square footage of the room, and also the size of the tiles. Once you have the measurements, you can calculate how much it will cost to purchase the tiles that you need. This can be relatively inexpensive, depending upon the material that you use. You can choose to use something that is inexpensive such as vinyl, or you can purchase ceramic or porcelain tiles to make your bathroom standout truly. 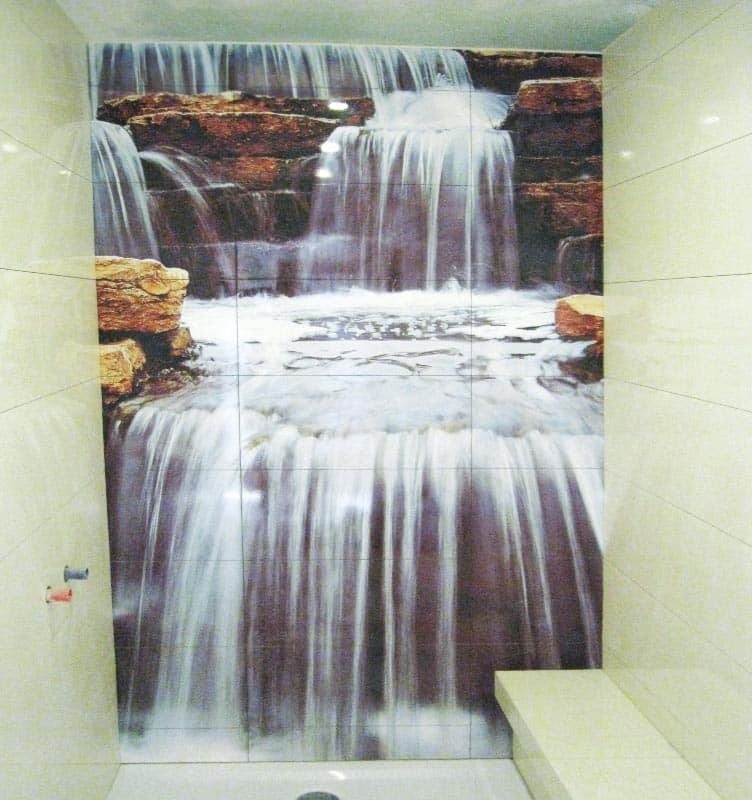 Some people will even use custom tiles with graphics designed to their specifications to give their bathroom a very unique appearance. Once you have done the measuring, you need to purchase the materials for the project. A trip to your local home improvement store will allow you to get everything that you will need. This will include the tiles, adhesive, grout and a sealant. You will also need to get an assortment of tools and supplies including tile spacers, a tile cutter or wet saw, measuring tape, a level, a square, a blue chalk line, a trowel, measuring tape, kneepads, and a couple of large buckets with a sponge. After removing your existing tile, and sweeping up the remaining debris, you will want to lay the foundation for your new tile floor by adding a thin coat of adhesive. After you let this dry, you will want to use the measuring tape and the chalk line to create reference lines so that your tile will be evenly placed. If you are cutting your own tile, make sure that each one is cut identically, or it could cause problems as you go along. If you use a professional tilers to do this for you, you won’t have to worry about the finished product. Using another bucket of adhesive, start with one row, carefully spreading the tile adhesive so as not to cover your chalk lines. Lay the tile on top of the adhesive, pressing down hard, making sure that it is set into place. Continue to do this process, moving backwards toward the door. Be sure to insert the tile spacers in between each tile so that the grout can be added at the end. After waiting a couple of hours for your tile to fix into place, you can remove the tile spacers and add the grout. Mixing the grout into a bucket, carefully add it between the tiles, and allow the grout to dry for at least a day. Be sure to wipe off any excess grout as you were going along with your sponge to ensure a completely level appearance. Once dry, add the sealant to the grout, and the entire process is complete. These simple tips on how to tile a bathroom should give you enough information to do a simple project like this on your own. As long as you can acquire all of the tiles, tools and supplies that are necessary, you should be able to complete this job in three or four days. 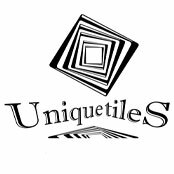 If adding custom tiles is something that you would like to do, using your own unique pattern or design, you can contact UniqueTiles, located in UK, Somerset, to find out more about how they can create custom tiles for you.